Since this is your daily hauler for the whole family, you don't want it languishing in the shop. Or, heaven forbid, by the side of the road with sad kids in the back. So it's nice to see that both the 2019 Hyundai Tucson and the Toyota RAV4 have reliability scores that are well above average, according to JD Power and Associates. Each one boasts a score of 4 out of 5, with 3 being the industry average. That means there's a good chance that your car will reliably get you where you need to go and back again. The difference between the Tucson and RAV4 is how long the warranty lasts. What happens on the off-chance your SUV does break down after all? Hyundai covers the Tucson with a five-year or 60,000-mile limited warranty and a 10-year or 100,000-mile powertrain limited warranty. But Toyota offers only about half that: a three-year or 36,000-mile basic warranty and a five-year or 60,000-mile powertrain warranty. If you want help when you need it, the Tucson is a safer bet. You're going to like this one. 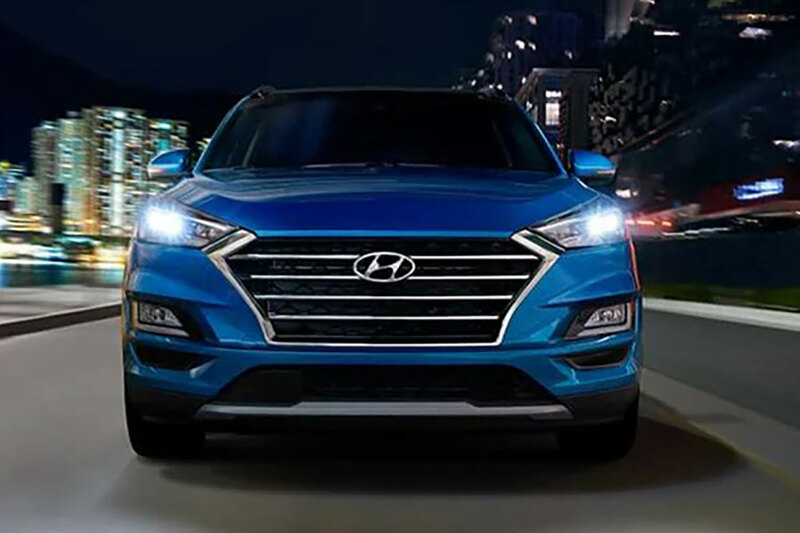 The 2019 Hyundai Tucson earned the Top Safety Pick from the Insurance Institute for Highway Safety. Specifically, the Tucson earned the highest mark in all six crash tests. On top of that, the National Highway Traffic Safety Administration (NHTSA) gave the Tucson five out of five stars. And just take a look at these active safety features, all standard: driver drowsiness monitoring, forward collision warning, automatic emergency braking, lane keep assist, and a rearview camera. Optional features include pedestrian detection, surround-view parking camera, adaptive cruise control, blind spot monitoring, lane departure warning, and rear cross traffic alert. That's a lot, all to give you peace of mind for you and your family. Though the RAV4 earned a five-star overall safety rating from the NHTSa, the Toyota only got four stars in the rollover and frontal crash test categories. And the IIHS gave the RAV4 a Poor rating (the lowest score) in the passenger-side small overlap front crash test. So beware of telephone poles. Its standard safety features include rearview camera, pre-collision system with pedestrian detection, lane departure warning, lane keep assist, automatic high beams, and adaptive cruise control. For your money (and the Tucson is more affordable), the Hyundai SUV with seating for five is safer and better covered for any unexpected repairs.